HomeSportFootball5 years of Clap-Trap and more to follow. A manager does not have to be liked to be successful. On the contrary, many of the touchline predators we canonise hold characteristics akin to a beast: snarling, brooding, ruthless and scaly. Ok, probably not the last one but generally when a successful coach makes a tough decision we applaud him for showing a ruthless streak. It is when the success stops that we change our view. Then the coach is a micro managing tyrannical overlord whose domineering personality doesn’t get any positive on pitch results. Many peopleviewed Giovanni Trapattoni that way from the start. The hand of Henry temporarily put a halt to the criticism as did the welcome trip to Poland last summer. 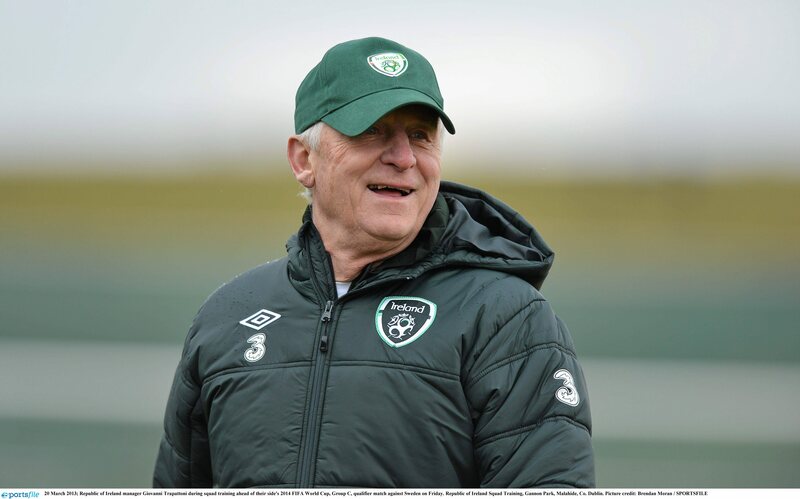 But the awful results at the Euros and the poor performances so far in the qualifying campaign are starting to reflect the disjointed and dysfunctional manner in which Trapattoni represents the team. This qualifying campaign hasn’t been a case of Trap’s chickens coming home to roost, but rather his chickens coming home to die. Trapattoni would rather be lost for an hour than to stop and ask for directions. If you were to choose one word to describe his reign thus far, stubbornness would surely be near the top of the list. Paulo Di Canio told a story in his book of how Trap wouldn’t let him leave a 20m area on the left side of the pitch regardless of the scenario. Di Canio once ventured five yards outside his grassy prison and Trap promptly hauled him off for his gross display of insubordination. You can be sure if you were to ask players like Kevin Foley, James McCarthy and Stephen Kelly they could give you a host of stories similar to Di Canio’s. The feud between Foley and Trapattoni sounded like something from “The Godfather”. Foley felt “betrayed” after Trapattoni omitted him from the Euro 2012 squad and Trap repeated that he was “finished, finished, finished” with the Kevin Foley situation. Recently Trap joked that if James McCarthy didn’t show some fire he would walk over and punch him square in the face. He was joking but the fact that you likely imagined it in your head pretty much says it all. It all had so much promise back in 2008. Trap walked into the first press conference with his slick grey pinstriped suit and he looked the part. He didn’t sound the part mind you, although somehow his English was as good then as it is now. entertaining in a good way. Ian Holloway breezes in and cracks a few one liners and everyone laughs. Trapattoni comes in and struggles to make a point about prudent counter attacking against an advanced attacking diamond and people laugh at his attempt to speak English. The mark of a successful manager is ultimately how much they win rather than how many friends they made. But if you put the cart before the horse you put yourself in a very precarious position, something that Trapattoni is learning now.